Today, on my 60th birthday, I’m launching the latest version of my Web site, at JimCarroll.com. It is the 6th iteration of my site since I launched my first one in the early days of the World Wide Web in 1995. 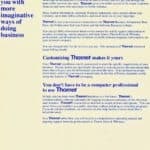 The new site gives a full nod to my roots back in 1985, and a global network that I helped to create known as ThorNet – some 10 years before the Internet exploded onto the world. Those years remain as one of the most transformative moments of my life. With a nod to that, some of my friends will recognize the logo in the upper-left. 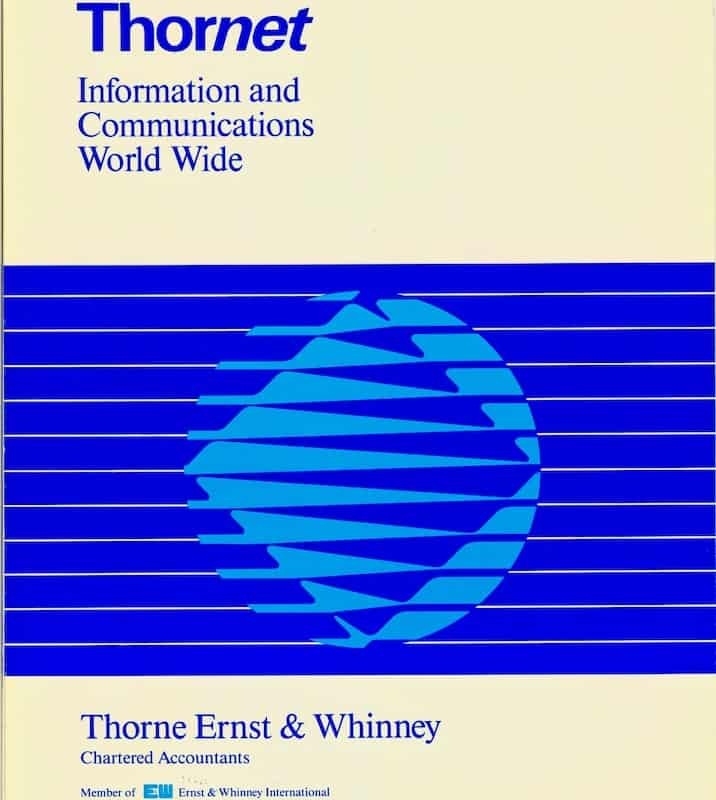 You see, that is the original ThorNet logo – colourized, and taking a prominent placement in my overall identity as I begin into the twilight of my career on stage. In a way, Thornet was the project that helped. to launch me on this fascinating career where I am now widely recognized as one of the world’s leading futurists. That’s not an overreaching claim – simply look at the client list found on my new site, and you’ll get a sense of just how far I have come. The experience with ThorNet, and the ability to think big and bold despite the skeptics, taught me much of my core belief to this day. Ah, Thornet! You had to be a part of it to understand how significant it was. 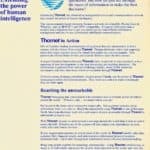 We had the bold and audacious claim in 1985 that it was there to “extend the power of human intelligence.” It was the Internet, Linkage, Facebook and Twitter, long before those concepts would be defined into multi-billion dollar entities. It was a revolution in the realization that forthcoming connectivity would change the world and provide massive opportunity to those who subscribed to that belief. It would be a power that would change the world – maybe not of everyone around it, but most certainly that of those who were involved with it. ThorNet was the result of some crazy dreams by a ragged bunch of dreamers, scattered across Canada in Halifax, Calgary, Toronto and Vancouver, Canada. We were brought together into a group known as Microlab – at the time, an experience factory to launch our public accounting firm into the future. Today, my new site launches with the logo, intact. I would not be here were not it for there…. 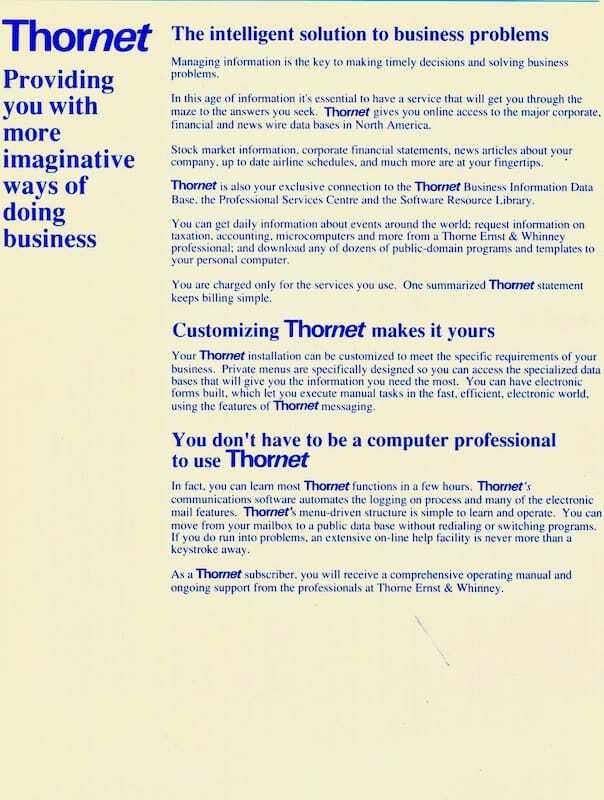 ThorNet was way too far ahead of its’ time : take a look at the claims in our original brochure! And what a band of innovators we were! At the core, an amazing group of original people, until the group expanded and coalesced over time…. At our lead, Bill “MicroBill” Detlefsen, a senior partner in the firm who did not understand this newfangled microcomputer stuff, but knew that something powerful was happening. He devoured and marked up the original Media Lab book on the work at M.I.T., which was the genesis of many ideas for the Internet yet to come. 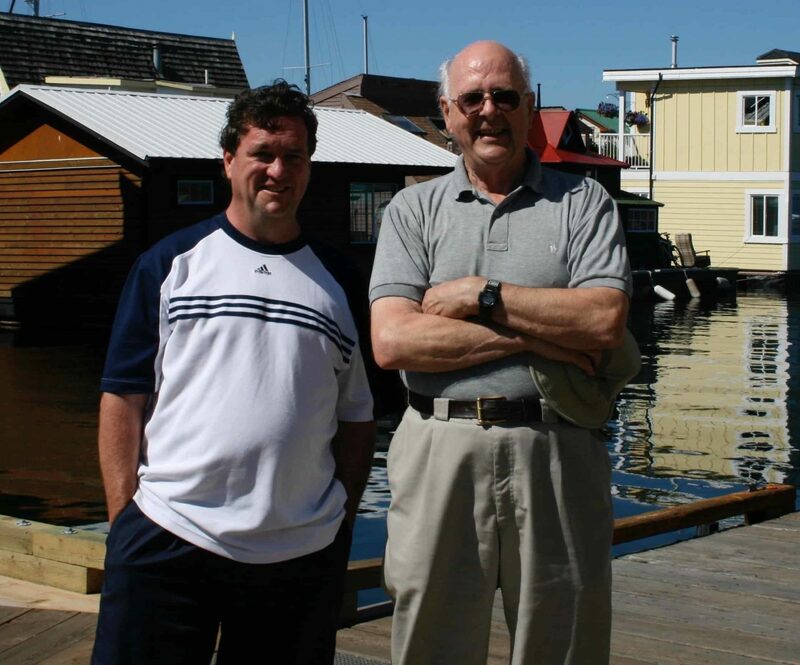 Don Jewell, a senior manager and then partner in the Vancouver office, who took himself away from a busy practice and devoted himself full time to the idea of building a global network to clients of this professional firm. Big, bold business goals – his spreadsheets of projected growth would be found years later with the power of exponential network growth that occurred with Facebook, Twitter and Instagram…. Mike “Winchester” Nettleton, a mischievous genius who took it upon himself at any moment to prove a point to you simply, well, because. The first person I have ever known who wrote a computer virus simply to show me I was wrong. I battled back relentlessly. I still do. Winchester. Gord Loukes, the “code whisperer”, the guy you could always run to when something wasn’t working, and would come back with a fix faster than you could blink. If you need it in 12 lines of code, he’d do it in six. And not boast, but just smile. On the side, there were countless others involved in some small or significant way. Many of these folks helped us to test our software, organize our ideas, manage the chaos. Some were able to join our mailing list. Ah, the mailing list. TEW.Party : the power of collaborative ideas before there was ever was such a thing! Or, well, an innovative and unique way to organize our social life! We started up TEW.Party late in 1986 or 1987, and it became the focus of our weekend social plans, nightly activities, and hoots of derision with our fascinating stories the morning after! Astute observers across the country would get a sense of our adventure through sneaking references within the Monday Memo. 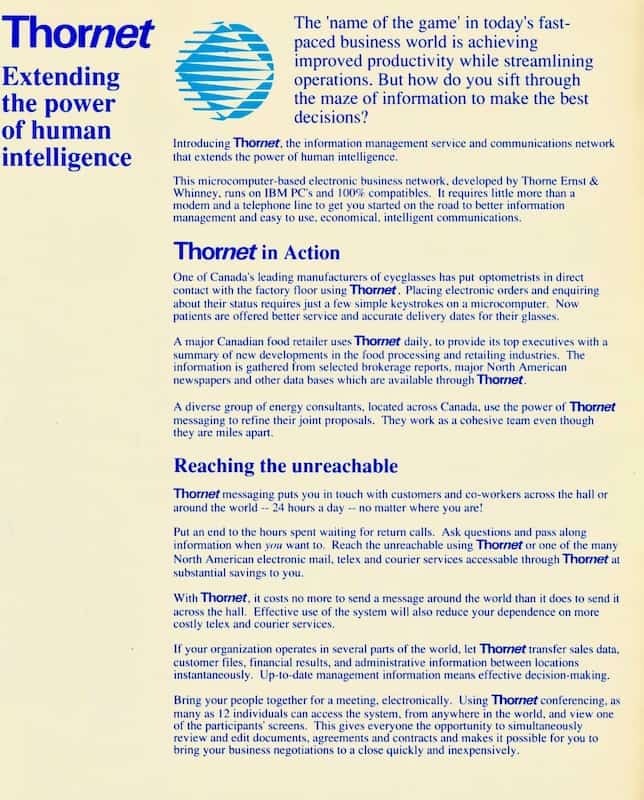 Like many unique ideas, ThorNet came together quickly, went supernova, and lasted but 3 or 4 years in a raging explosion of wonderful ideas. 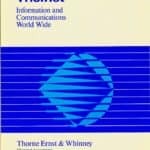 Quickly, ThorNet became EWiNet, we went global, and I ended up taking on an effort that saw us expand to 37 countries with 2,200 users around the world. My wife met me during this time – and one day found me in the kitchen at 3AM, yelling into the phone through a bad connection, giving our Madrid office instructions on how to modify the script to deal with a slower speed, 1200 baud connection. She thought I was nuts. Somehow, she stuck with me. I am blessed – she provided the runway that later allowed me to launch into a life in which I would soar with the opportunity presented to me. ThorNet. One day, it all came crashing down. The firm merged – politics took over – the idea died. The skeptics, the minds of the petty, the believers of the small took. they took over the agenda. I left the firm in frustration after being told that our glorious network would never amount to anything. Truly, I was crushed. 5 years later, I wrote the first of many of my Internet-based books that helped people to understand the world we were talking about with ThorNet – and went on to sell a million books. I found myself on stage, telling the story of the wonders of the new land that we had discovered some 10 years before. I evolved into a futurist, helping people understand the power of the future. Many of those early stories on stage came from the genesis of ideas found in ThorNet. MicroBill? He went on to become my continual mentor over the next 20 years. He would provide me wise counsel, solid advice, and a reassuring voice of support as my career continued to go through twists and turns in a relentlessly fascinating adventure. We lost Bill to the eternal network a few years ago….. he was a wonderful soul! I learned so much from my ThorNet years. Define big ideas. Stick with them. Know that if you are ahead of the pack, it can often be a lonely place to be. A ThorNet poster remains on my home office wall to this day; “Remember from whence you came!” My little boys, now young men, Willie and Thomas, always saw the poster, and would sometimes ask about it as they grew up. I would just smile and say that it was just a really big idea, just ahead of its time…..
What did I learn? So much, but most important of all – if you are ever presented with an opportunity that might change and define your life, go for it. Opportunity is meant to be pursued! It truly is, and I live for the moments in which I might share our early concepts with ThorNet to the world at large.